UTL offers a wide range of services including tilt and frigo trucks in international road transport. 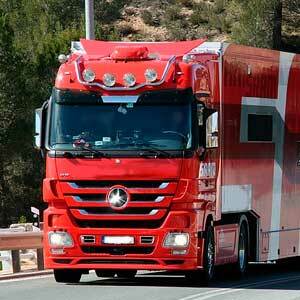 Our close cooperation with large number of hauliers allow us to offer transport of any kind of cargo. We handle dedicated / express trucks as well as part loads. We are also offering organisation of oversized cargo. We can place additional cargo insurance (all risk) upon Customer's request as we are working according to CMR convention. As most of us have over 10 years experience in transport business - acquired in the biggest forwarding companies - we guarantee our Customers their cargo shall be handled with utmost care and requested status of ongoing transports are available at any time.